I checked with the worst affected resident yesterday to find that the problem had not been solved. Thames Water hod told her that there was nothing wrong with the pumping station (that their operatives had previously blamed) and advised her to call the Environment Agency Floodline. The latter was completely inappropriate as there was no flooding in the area. I therefore called Thames Water and asked them to investigate whether there was a sewer blockage, which they agreed to do urgently. I checked again with the resident today. The sewage has stopped leaking and "two lads" from Thames Water had arrived this morning to clear up and put down disinfectant. I had a complaint about sewage flooding from residents of a home on the Theale High Street yesterday. I visited and found that they had sewage oozing out of a manhole and sewage leaking from another point into a watercourse. 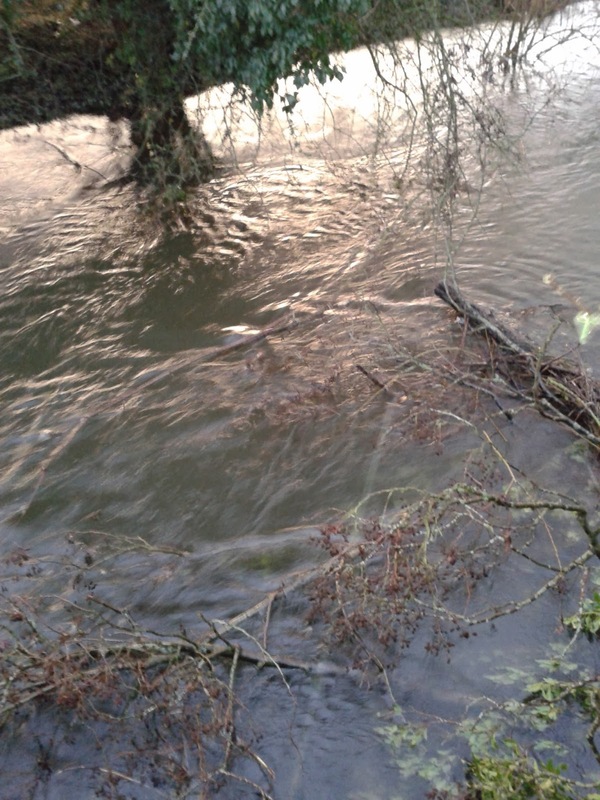 They had reported the problem to Thames Water on January 2nd. I also spoke to a neighbouring resident who told me that he and his neighbors were unable to flush the toilets because the sewer was blocked. I spoke to Thames Water today and was told that operatives had been called out to the blocked sewer several times . They had investigated several manholes and found them full. They had blamed a pumping station failure. However, they had not put a request in for the pumping station to be investigated and repaired (I imagine that this was because they were contractors and perhaps not familiar with Thames Water procedures). I was promised that a team would be called out to the pumping station today (Monday 27th Jan) and certainly within 8 hours. Let’s hope that they can fix the pumping station quickly! 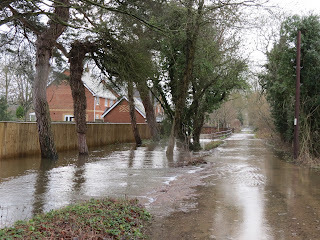 Given the heavy rain that has fallen today (Sunday) and forecast in the coming week and the flood risk this poses, I have asked West Berkshire Council to arrange for these obstructions to be cleared as a matter of urgency. - Work to create a new ticket office and retail unit will begin in January and this should be complete by end of March 2014. This was originally planned for the autumn, but has been delayed while FGW have been trying to finalise the detailed design and contracts. - The plans to enable provision of the lift and bridge, originally due at the same time, are ongoing while FGW make sure the design delivers value for money. The first piece of news is welcome of course. However the second is very worrying. Apparently, the tenders came in much higher than expected and exceeded the budget for this part of the project. FGW have had to go back to the Department for Transport to get permission to spend more and to approve the delay in the project. There is therefore a real prospect that the new footbridge and lifts will not get built. This would be a disaster! I am writing to you as Lib-Dem Councillor for Theale regarding problems with the Access for All project at our station. Theale is a very busy station and is used by well over 400,000 passengers per year. Access from the booking office and car park to either platform is by two set of stairs - please see photo below. Passengers have to negotiate almost 50 steps in total, and this will increase when the bridge is increased in height for the electrification project. The station facilities are also very poor – the “booking office” is basically a site caravan that has been embellished over the year with a veranda and disabled access ramps (please see photo below). There is a project to build a new footbridge with lifts and to provide new passenger facilities, including a new booking office. For space reasons, these will be at the other end of the station and car park from the existing footbridge and booking office. 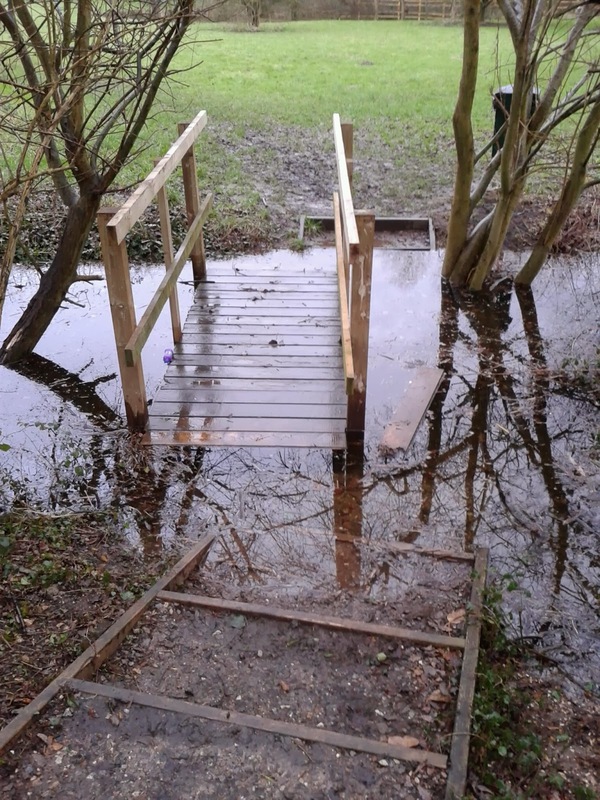 The new footbridge and lifts are to be funded from the DFT’s Access for All programme. After several delays to the project, we have now been informed that the tender costs for the lifts and bridge have come in considerably over budget and that the project cannot now be completed before March. This means that the DFT will need to approve the delay and give approval for the required increase in funding. FGW are going ahead with the new passenger facilities. However, if the new lifts and bridge are not provided the new facilities will be at the opposite end of the station car park to the existing footbridge. Passengers would then be faced with a long detour to buy their tickets and access the platforms. I would be grateful if you could help get the required approvals for the delay and increase in funding for this much needed project. I am writing to inform you that your petition requesting an improvement to road safety for people crossing the A4 at Wigmore Lane in Theale will be responded to via an Individual Decision by the Portfolio Holder for Highways and Transport (Councillor Pamela Bale). The Council’s Highways department are investigating the matter and will prepare a report with recommendations for Councillor Bale to consider and decide upon in May 2014. A copy of the report responding to the petition will be forwarded to you in due course. Thank you ever so much for taking the time to send this information. Having met the local residents at Sheffield Bottom on Saturday, I am about start work on a flood investigation report, as required under the new Flood an Water Management Act. The information you sent will be extremely helpful. 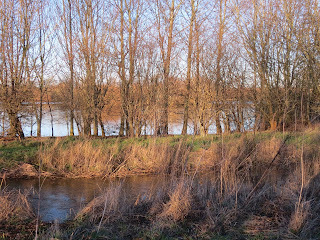 I am convinced that there is a solution to prevent this sort of flooding happing again, and I aim to make this a priority in the coming financial year when I hope funds will be available to do something about it. you are probably aware that these three houses were flooded this Christmas and again within the last two weeks. 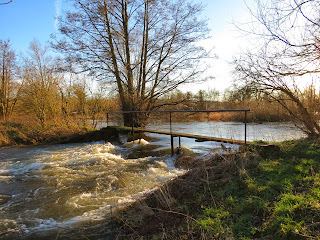 The last time I visited the weir, the summer before last, there was no water going over it. There is also a much smaller weir just upstream that was also feeding water into the stream at that time. Improve the weir at the head of Draper’s Osier Bed Stream so that the flow of water into the stream can be controlled (e.g. with sluice gates). Construct a weir and channel connecting the Drapers Osier Bed Stream to one or more of the fishing lakes so that the lakes store some of the floodwater. The above photo shows the close proximity of the stream and a lake. I would welcome you comments on these ideas. The replacement footbridge at the end of Volunteer Road, Theale, is now floating! I received the following letter by email from Thames Water today. In another email, I had confirmation that tankering is likely to start at the Lambfields Sewage Pumping Station in Church Street, Theale, and that the letter is being distributed to residents in that area. 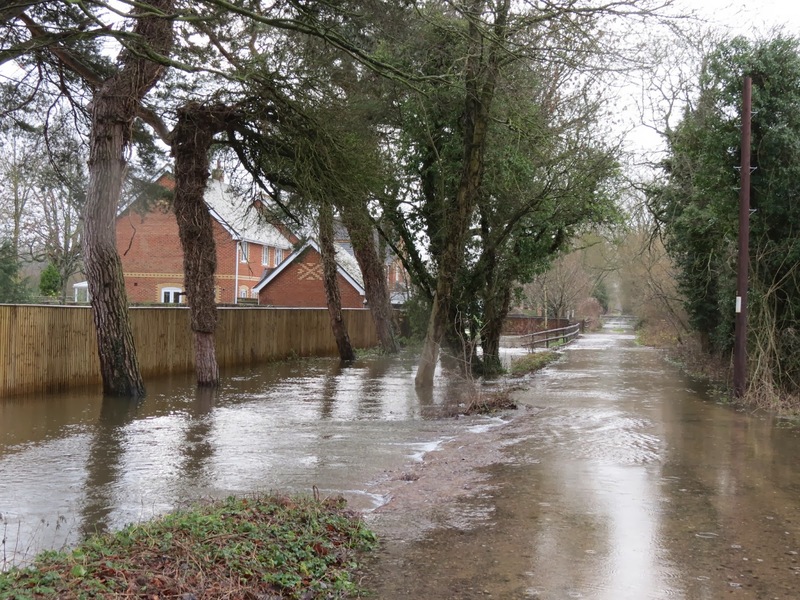 Recent heavy rain has led to wide-scale flooding across the Thames Water region. Information, including flooding advice can be found on the Environment Agency’s website www.environment-agency.gov.uk or via their Floodline 0845 988 1188. In many areas, floodwater is entering our sewer network and in some cases overloading our pipes and sewage pumping stations. Although these are designed to take wastewater from homes and businesses, they’re not built to take storm or river water. This is what’s putting our sewer pipe network under considerable strain. To prevent local homes from flooding by sewage, it is possible that we may have to deploy a tanker at your local pumping station or elsewhere in the area to assist in relieving the volumes of water entering it. We’re sorry for any inconvenience this may cause should we have to take this action. Please be assured we are doing everything we can to prepare for any further sewer flooding by bringing in extra staff and our teams are working around the clock to help our customers. If you experience any problems or have concerns about the tankering or sewer flooding, please contact our 24-hour Customer Service team on 0845 9200800. Please stay safe during these exceptional weather conditions. In accordance with a prearranged closure Order, North Street, Englefield will be CLOSED for 11 days from Monday 13 January 2014 from a point 215 metres south of its junction with Grantham Road to a point 285 metres south of the same junction in the vicinity of the property Laurel Cotages. 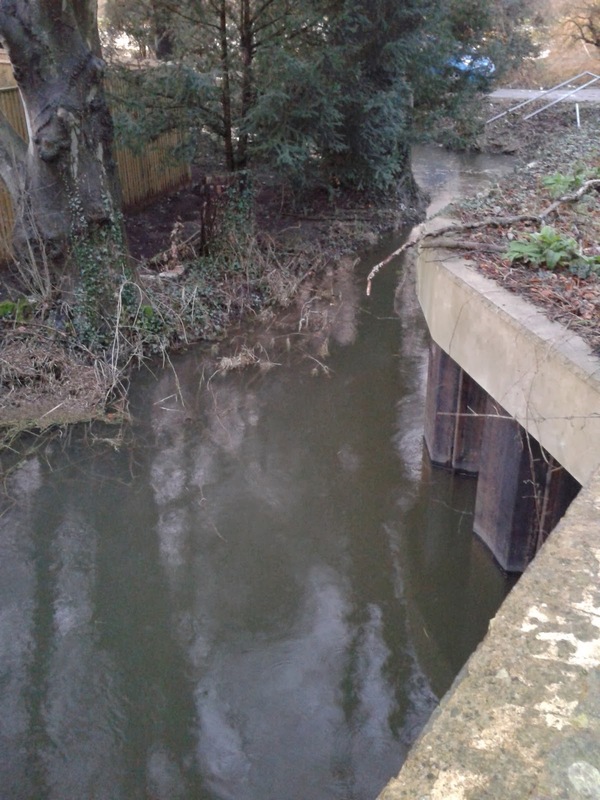 The purpose of this Order is to allow safe access for planned sewer maintenance works for Thames Water. 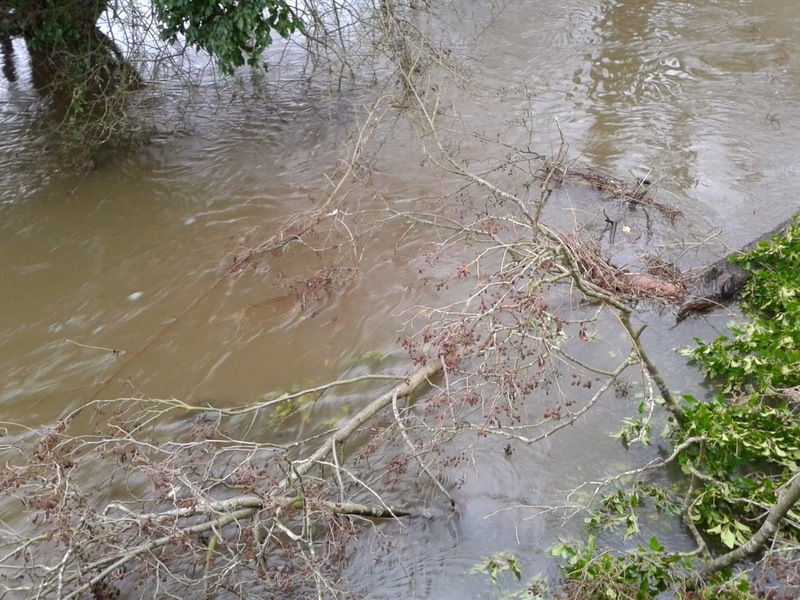 Reported this partial blockage of the Drapers Osier Bed Stream near where it passes under Station Road, Theale. I believe that it is obstructing the flow of the stream and making the flooding of the houses at New Mills worse. Checked status with West Berkshire Council. The issue had been passed to Highways Officer. She is going to check on-site tomorrow morning. It would be too dark to check this evening. 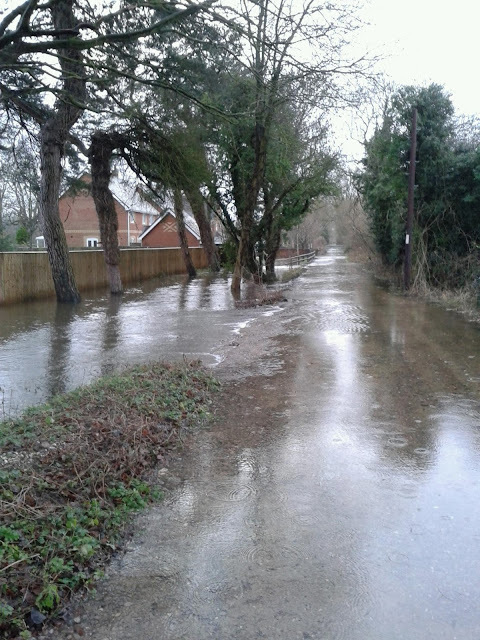 The lane leading to Mill Cottages, off Station Road Theale, is flooded. I suspect that the houses are too. They were flooded at Christmas. Hangar Road closed between Theale swing bridge and Sheffield Bottom by flooding. The road is still closed. River levels are continuing to rise on the River Kennet following the recent rainfall. 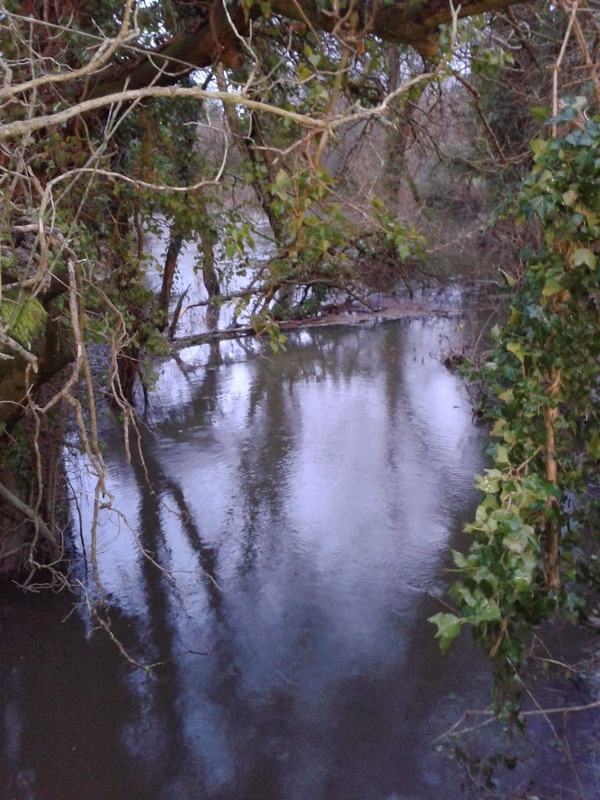 Flooding of some low lying properties closest to the river is expected from late this evening onwards in the Theale area. 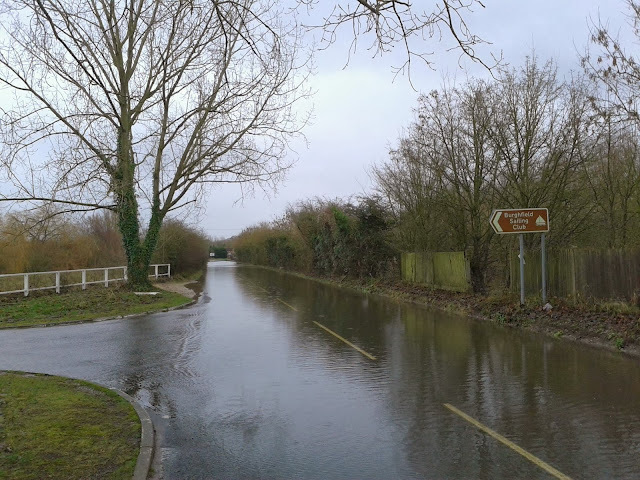 River levels are currently forecast to reach a similar level to that seen on Christmas Day 2013. The latest weather forecast suggests that there will be significant rainfall on Sunday. Three tickets were issued in Theale yesterday evening by West Berkshire Council's Civil Enforcement Officers (traffic wardens). All were for parking in Permit Holders Only zones - one was issued in Crown Lane and two in Meadow Way. The CEOs will be making more visits to Theale in the near future. Therefore, please ensure that you park your vehicles in areas where they are allowed.